A view from the Moon of the Earth eclipsing the Sun. Here the Sun sits in the middle of the composition it radiates outward from behind the Earth reaching to the Moon. 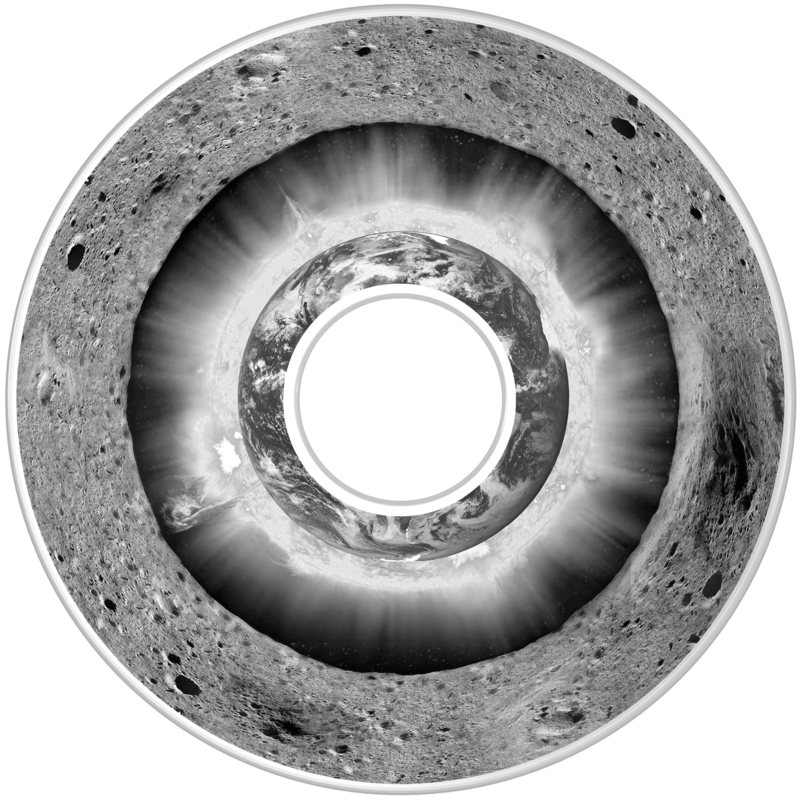 This images is positioned behind the Moon Poems disk to provide a contextual background for the poems that reach outward from the Earth to the surface of the Moon.